Term 3 playgroup finished up this week, which luckily coincided with International Talk Like a Pirate Day. Arrr Me Hearties! Which made for a fun morning at the park, with lot of little pirates playing games, finding treasure and enjoying a BBQ lunch. Thank you to all our little pirates for coming to play. Last week we attempted to take some team photos, only problem was we didn’t have someone to take the photos so we had to do it ourselves. We didn’t do to badly. Wednesday 4th September is the day to take some time to celebrate the dedication of our educators with employers, families and children all involved. A time to say “thank you”, “well done”, “you are making a difference”, “you are appreciated”. We will re-open on Thursday 15th August 2013 at 8am. This week we decided to take our playgroup to a local park and have a teddy bears picnic. We played on the playground, we ate morning tea, we made masks but most of all we laughed and had fun! Thank you to everyone who was able to come along, we hope to see you all again soon. At EIC we ensure our educators have sufficient training to stay up to date with caring for your child. We pride ourselves on having educators who believe in bring ‘Family’ back into Family Day Care. Our educators not only will care for your child, but they also teach them through planned learning activities and spontaneous learning based on your child. We have recently sent out our April newsletter via email, if you did not receive a copy please let either your educator know or one of our lovely staff in the office and we will happily provide you with a copy. 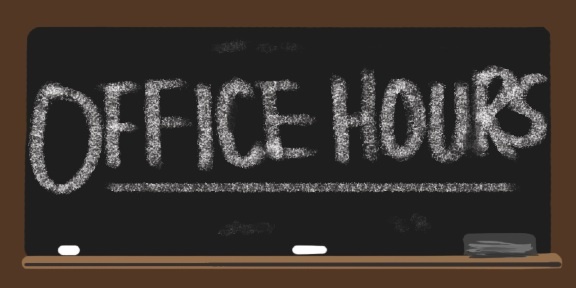 However there will be times when the office is closed during these times, notice will be given where possible and we will only be closed for training / meeting purposes or emergencies. Have you meet our new Admin Assistant Yvonne yet? She comes to us with a wealth of experience in Family Day Care. She is able to answer almost any question relating to FDC with confidence and happy manner. We were so luckily to have found her as she has fitted in to our little office group perfectly. You know that we love to hear our feedback here at EIC and your feedback is appreciated at any time. Please keep us informed of how we are doing. We can assist you in addressing any concerns you may have. We also love hearing your positive feedback too! 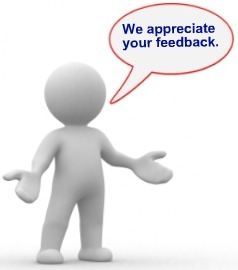 Please don’t feel worried about our reaction to your comments– We appreciate the time that our families make to give us feedback and we take it all on board. It has come to our attention not everyone has access to facebook, so I thought I would share some of the popular facebook craft posts. Hope you enjoy! Instruct but do not do. Discuss a child’s work. Demonstrate techniques. Share ideas. But do not touch the work itself. Never start with a pre-cut shape. Never trace. Start from scratch. A child’s circle will be more interesting than your own. Quality materials and an organised, inviting workspace are an essential backdrop for creative chaos. Invest in good supplies and take time to set up. Look. Look at the greats; no child is too young for art history. Look at the world; learning to make art is learning to see and find pleasure in details. Observe the children while they work, you can prompt them with questions like ‘what do you think will be the hardest part to draw’ or ‘what colour are your eyes’ but try to refrain from actually helping with there work. Once finished you can talk with the child about what they created and why. We found a great Christmas Advent Calendar the children are sure to love. All you have to do is print it out and glue cotton balls over the days of the month to count down the days until Santa arrives. The children have had fun learning about being Sun Smart and the importance of Slip, Slop, Slap, Seek and Slide. We had a visit from our local Police Officers and still to come are visits from our local Fire Brigades and QLD Dental. A great way for you to expand on what the children are learning at playgroup is to visit Ipswich Art Gallery’s newest FREE exhibition- called Rescue. All about REAL LIFE rescues- where the children can try their hand at Jet Ski rescues, fire extinguishers, simulated helicopter rides and lots more. First Aid For You and Flying Fox Studios have joined forces to offer a 2 hour information and demonstration session on the most important child related first aid any parent, grand parent, parent to be or any person in care of children should learn! The First Aid For Families course is 100% children and breastfeeding friendly !! The national quality framework was created to improve, unify and bring a higher standard of Childcare within Australia. We have the national law and regs for a reason, everybody has to abide by them, weather you are a scheme or an educator. They are enforced by all to protect our precious children, our future. I am so proud of our scheme, that we have quality, professional educators that strive hard to be and are Excellent Educators. Our belief in excellence and putting children first and foremost is an exceptional quality and i would love to thank all of our beautiful educators for your continued support in maintaining our Excellence family. We hold regular training sessions for our Educators, it can be anything from Child Protection to running your own business. Kimberley decided to have a little fun with this months training session and turn it into a trivia night on all things EIC and children. Congratulations to our winners and we hope you all had fun. Our playgroup fundraiser is underway. We have two options for you to raise money for some bigger equipment for playgroup. Toys and More is a fundraising program that provides you access to purchasing great educational resources and toys while raising money for Excellence In Care Playgroup. The toys and resources you order will be delivered in time for Christmas! Billy G’s Gourmet Cookie Dough Fundraiser is a great opportunity for you to bake up your very own home style cookies. We hope as many parents as possible support the fundraiser. Please sell to relatives, neighbours, friends and work colleagues. Order forms and monies are due back by the 9th October 2012. From all of us here at EIC we thank you for your support with our Playgroup Fundraiser. Did you know you can incorporate physical activity into story time! Let’s take a look at how Jack and the Beanstalk can be adapted to encourage physical activity. What other children’s stories can be modified to inspire active play? Acknowledgements: Excerpts taken from Moving with Young Children workshop, Sport and Recreation Queensland (2005). Excellence in Care offers a range of support ideas and initiatives to the Educators registered with our scheme. One of these is playgroup. Playgroup is run by Zoe with the assistances of Paul & Kate and is open to all our educators. Playgroup is a great way for our educators to get together, share ideas & connect with staff. We have 2 playgroups, one in Camira which operates every second Monday and alternates with our Beaudesert playgroup which operated every second Tuesday. Your child will get to sing, dance, try new art and craft activities, share experiences, and mix with other young children. It is important for children to meet and play with others. It develops confidence and social skills, and is an enjoyable experience. In preparation for school, young children benefit from a little more independence from their parents and educators along with experiencing a little more structure to their day. Playgroup enables each child to establish an identity for him or herself and gain increased confidence and a better understanding of the world around them. Excellence In Care Family Day Care Scheme is pleased to announce the launch of our new and improved website. Excellence in Care collaborated with the team at SBMPR – Small Business Marketing & Public Relations to provide a more comprehensive source of company information and services. The new site is divided into three main sections: ABOUT US, PARENTS and EDUCATORS and features a fresh design, focused on delivering information pertaining to services in an easy to navigate, aesthetically pleasing approach which is aimed at providing the most up-to-date information to parents, educators and the general public about all of the services provided. Excellence In Care’s director Kimberley said of the new design “We are excited to launch our new website and logo. By moving to a more client-centric layout, we allow visitors to access information based on their own choice rather than sift through everything to decide what is of interest to them”. If you experience any problems using the new website or if you have any suggestions, please contact us at admin@excellenceincare. Pre-schoolers will need some help cutting and tying the knots, but they will love to colour and then play with their own parachute guy! 1. Cut out your Parachute person. Glue the front and the back together. 2. Wrap a small piece of scotch tape around each of his hands. This will give it more strength. 3. Punch a hole in each hand. 4. Cut two equal lengths of string. Tie one string onto one hand and the other on the other hand. Tie each end to the handles of a plastic bag. Now you’re ready to make Parachute person fly. TIP: You really need to use the front and the back of the person glued together give it just enough weight to work properly. 1. Young children are naturally ego-centric. They see the whole world through the lens of their own wants and desires. Giving something up because it makes someone else happy requires a very big mental leap. This means that we have to gently teach them over and over to recognize and value the feelings of others. 2. Young children are naturally seeking power. It’s a motivating source that allows them to learn and become more proficient and independent. If sharing is presented to them as a loss of power (“You must give something up“) rather than as an opportunity to be powerful (“You can choose what or when to share”/”You can help someone be very happy“), they will naturally resist. Help children recognize the power in sharing. 3. Social skills are learned. As is the case with social skills in general, children don’t naturally develop the ability to share. Just as they don’t wake up one day knowing how to write their own name, they won’t suddenly be able to navigate the social art of sharing on their third birthday. Be aware that sharing requires practice, which always includes mistakes along with the successes. So how can you teach your child to share? Give your child plenty of opportunities to share neutral items. Sharing your favorite toy is much harder than picking out a treat at the store with the express purpose of sharing it with friends or having a cousin over to play with a sprinkler you can enjoy together. Give your child plenty of positive experiences sharing with others. Call attention to their efforts and the happiness it has brought to others, as well as the happiness they feel themselves. When you play simple games like duck-duck-goose, your child practices turn-taking. She begins to realize that even though it isn’t her turn now, she will get a turn. It helps her to regulate and control impulses, to delay gratification, and to recognize the need for others to have a chance as well. Teach social scripts for sharing. Young children are still developing their language centers and often lack the verbal proficiency required to negotiate with their peers. It is much less laborious to simply connect impulse to action and make a grab for it! Teach your children specific scripts they can fall back on when they want to share. Teach these scripts in role-playing situations where the grounds are neutral and emotions are calm. Remind children of these exact scripts in play situations to call their minds back to that learning session. One script I have had success with is, “Can I have a turn when you’re done, please?” This one works well because it communicates to the child in possession of the coveted item that sharing doesn’t mean giving it up right away. It gives them the courtesy of finishing, and the power to decide when that is. It is much less threatening than abruptly being asked to give something up. Secondly, this script lets the child that is asking know that he/she will need to wait a moment. The funny thing is, many times when I’ve coached children through this script, the child with the toy (who not two minutes earlier was tenaciously gripping the item in a tug-of-war) decides he is done within a matter of seconds. The difference is, it was on his own terms. For some children, when they are asked to share, all they see is what they have lost. They grip that item like a lifeline, not only because they don’t want to give up the toy, but because they don’t want to give up the power it represents. In these situations, it is helpful if children now how to negotiate a trade. As with other social practice, the key is to remember this is a skill you want your children to be able to eventually use independently. Try not to swoop in and negotiate the trade yourself. Guide, prompt, and redirect if it fails, but avoid taking over. Don’t underestimate the power of your influence. As parents and educators, we are instrumental in the social development of little ones. Find plenty of opportunities to model sharing, talk about sharing, and to compliment your children as they make progress along the way. Sharing may not come naturally to most children, but with your help they’ll master this childhood challenge!